It's common knowledge, most people cannot function properly until they've enjoyed their first morning cup of coffee. And honestly, who wouldn't prefer to drink fresh roasted coffee over instant coffee. And consider this.... how much downtime is spent with staff outside the office, buying their "morning fix" or sitting in a cafe enjoying their flat whites and long blacks? We've been supplying our fresh roasted coffee to small and large business offices for 14 years and feedback from our customers shows that staff who are enjoying great coffee inside work, spend less time away from the office. Fresh roasted coffee used to be an expensive luxury, now it's a competitively priced commodity which more and more businesses are affording their staff. As well as our delicious, award-winning, 100% organic and Fairtrade coffee and tea blends, we can provide equipment and accessories for your business, from the humble plunger pot or filter pour over, right through to espresso machines and grinders. We also offer training, repairs and maintenance support. 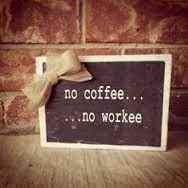 If you'd like to try some of our fine blends for your office, request your fresh roasted Celcius Coffee COMPLIMENTARY SAMPLES today and see for yourself just how good it is!